RGB lighting has become synonymous with PC gaming hardware and, like it or loathe it, the eye-catching illuminations are here to stay. Asus is one of many manufacturers eager to update its product range with synchronised LEDs marketed under the Aura umbrella. A myriad of motherboards, graphics cards, desktops and peripherals are now Aura-certified, and a few classic fan favourites are being given an Aura upgrade. 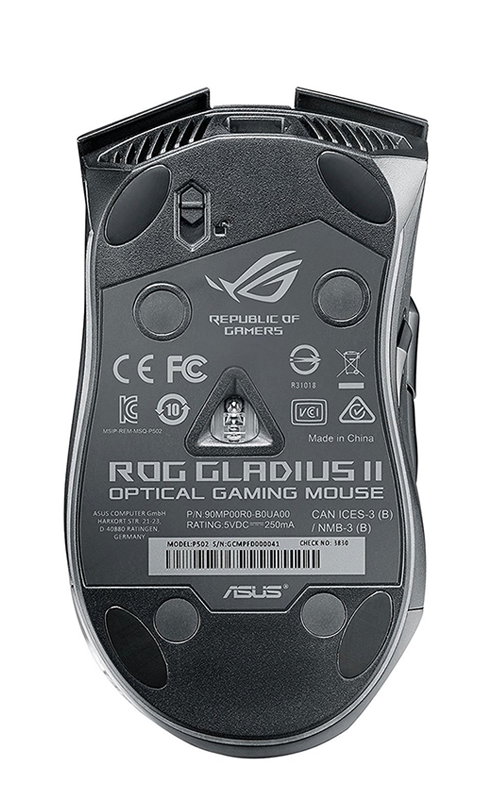 One example is the new Gladius II mouse, priced at £80. 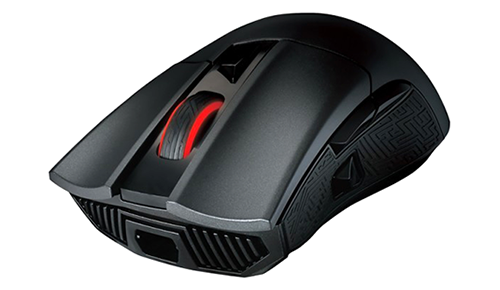 Those with long memories will recall that the original Gladius launched way back in 2014 and offered comfortable right-hand ergonomics, a precise sensor and DPI adjustment well suited to fast-paced FPS gaming. 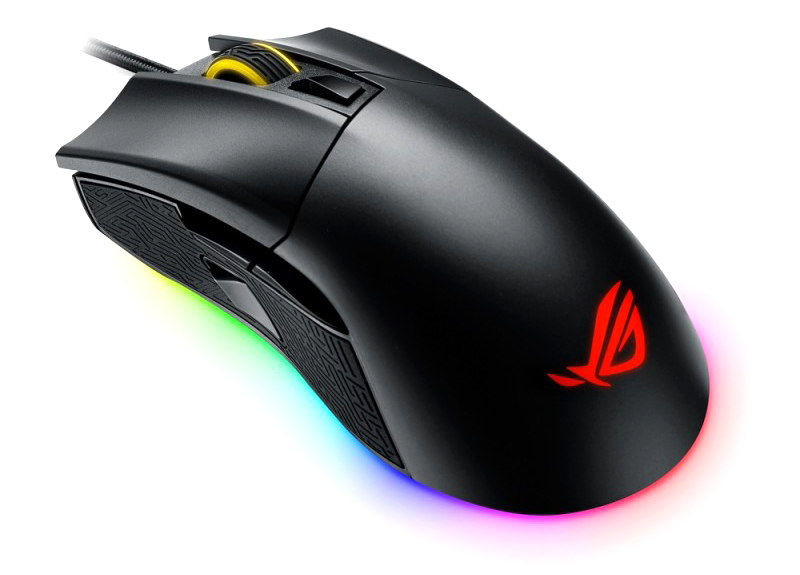 Gladius remains a solid mouse and is today available for under £40, so the v2 model, at twice the price, arrives with lofty expectations. First impressions are rather good. Asus hasn't messed about with the likeable overall shape. The mouse still measures 126mm x 67mm x 45mm in size but now tips the scales at 110g, making it 6g lighter than the original. It's a form factor that works well with either a palm or claw grip and though some would prefer even less weight (or an option for weight adjustment), Gladius II's nimble profile feels just about right for my tastes. So what's actually changed in order to warrant the £80 price tag? Well, a couple of things. The old 6,400dpi sensor is out and in comes a Pixart PMW3360 optical sensor with a maximum DPI of 12,000. 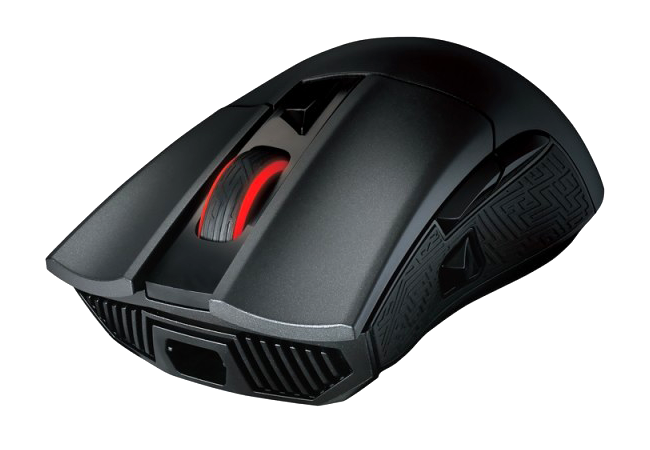 Such lavish numbers can be considered overkill, yet you'd rather have the wiggle room than not, and if you're into statistics you'll appreciate that acceleration is rated at 50g and the mouse offers a 1,000Hz polling rate via USB. Another big change is the addition of Aura RGB lighting. Gladius I had a few elements backlit in red but Gladius II ups the ante with a backlit ROG logo, a backlit scroll wheel and a neat string of LEDs circling the base to create a nice underglow. There's a wide range of effects and an infinite number of colours to choose from, and of course the illumination can be synchronised with other Asus Aura hardware. 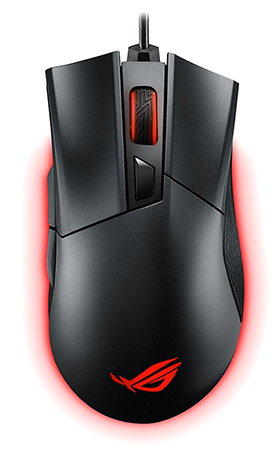 The final tweak can be found on the side, where the rubber Mayan-inspired grip has a new DPI target button. Hold it and sensitivity will be reduced for precise aiming. It's a quicker means of on-the-fly switching, yet while some will appreciate this new feature, the DPI target button isn't my cup of tea. I've accidently pressed the protruding button on a few occasions and it always feels like its in the way - truth be told, I'd rather it wasn't there so I could rest my thumb more comfortably. Elsewhere, Gladius II continues to offer all of the goodness of its predecessor. 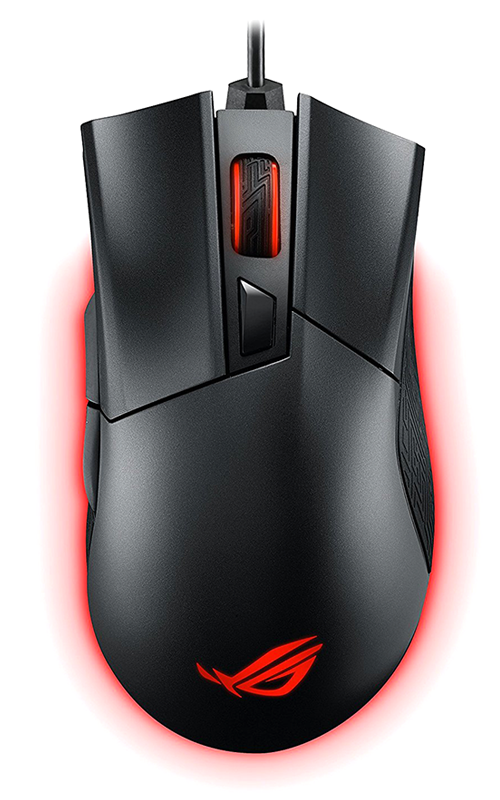 Side-mounted forward and back buttons are perfectly placed and offer good tactile response, the clickable scroll wheel is notched with just the right amount of resistance (albeit with no side-to-side scrolling) and the top DPI toggle button offers the ability to alternate between two user-defined levels of sensitivity. 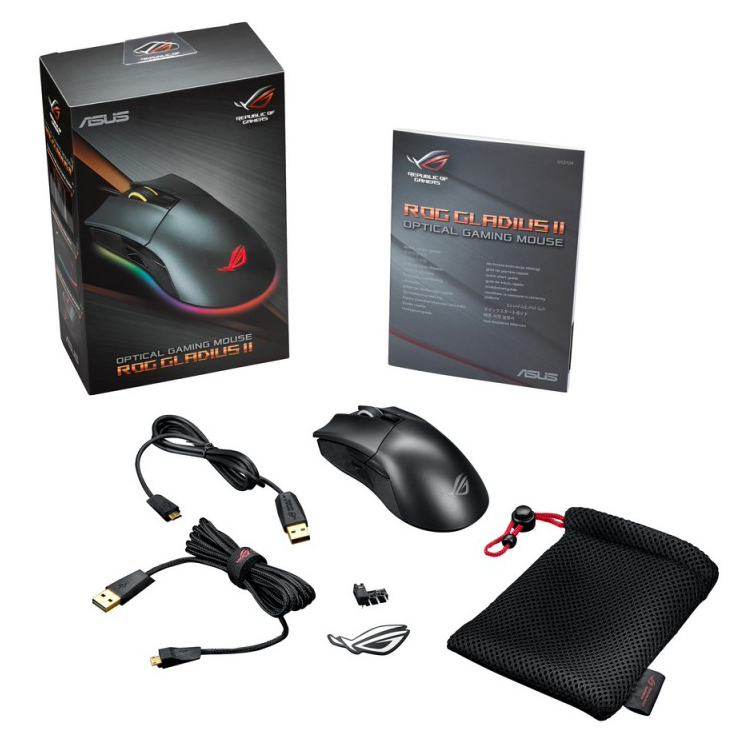 This is strictly a wired solution but it's handy that Asus provides a choice of cables as part of the bundle. A two-metre braided cable is intended for everyday desktop use, while the one-metre rubber cable is designed for LAN-party travel. Either cable attaches securely to the front of the mouse at a slight angle to prevent drag, and remember that the release button on the underside needs to be pressed before you attempt to pull the cable back out. There's also a tidy carry pouch included in the box, as well as a couple of spare Omron switches, and as before, the mouse can be opened by undoing four screws, allowing access to the switches for the left and right clickers. The default switches are Omron D2FC-F-K but Omron D2F-01F alternatives are included for those who want to customise click resistance.